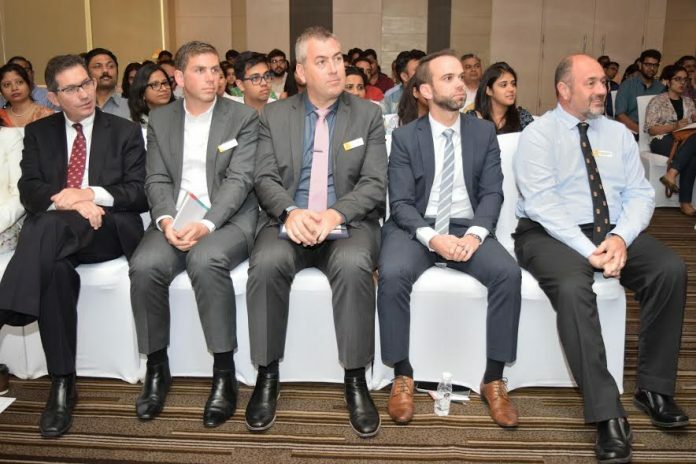 Delhi: The faculty-student interaction program organized by the internationally ranked University of New South Wales (UNSW) Sydney on Friday at Delhi’s Hotel Le Meriden saw a full house. The huge turnout comprised students as well as parents keen to know more about the Australian varsity’s academic courses and the prospect of studying and living in Australia. The open day was held ahead of Australian Prime Minister Malcolm Turnbull’s visit to India this week. The session apprised students about the features of the university and its unique aspects, its renowned faculty and the opportunities and options that are open to them once they decide to study at UNSW. Several parents who were eager to know more about the university’s programs too attended the session. The event was graced by Vice-Chancellor of UNSW Professor Ian Jacobs whose presence reiterated the institution’s commitment to providing excellent opportunities to students and helping them achieve their potential. UNSW Sydney has actively partnered with the Indian government on a series of initiatives in the recent past. The session was attended by renowned UNSW faculty from the Schools of Arts and Social Sciences, Biotechnology, and Biomolecular Sciences, Engineering, Built Environment, including the School of Humanities and Social Sciences from its Canberra campus.It also projected the award-winning research work and innovations undertaken at the university. Present during the occasion were the UNSW Careers & Employment and Admissions teams that spoke about support services available at the university to help students maximize academic, career development and social opportunities while at the varsity.